Yes, balance does decline with age, in general. It is also true that there is quite a bit one can do (and easily incorporate into every day activities) to slow this down and actually improve balance. For most people, this translates to a better quality of life, more confidence to remain active, and reduced risk for falls. The important piece of information you must know is that a proper assessment of your balance issues allows you to have a targeted home program that is meant just for you. It is not “one size fits all.” Some people can practice standing on one leg all day long but their true issue may not be addressed. Just a short list of things that disrupt balance are back and orthopedic injuries, prior ear infections, viruses, medications, peripheral neuropathy, and vestibular issues. When a thorough exam is completed by a skilled health care provider, often there is successful, efficient intervention that helps dramatically. Lateral (outer side) hip pain is all too common and leaves many people with questions about how it happened, how to avoid it, and what to do about it. One of the many diagnoses of lateral hip pain is bursitis. There are 3 distinct bursa in the hip region but the greater trochanter bursa causes pain in this specific region. How does this occur and what to do? Less common causes are a direct fall onto the outside of the hip which results in swelling and tissue damage. Early intervention of anti-inflammatory modalities, gentle stretching and gentle exercise can help minimize long term issues. 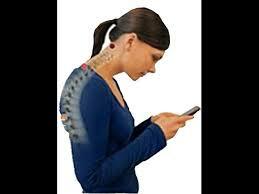 Back issues can lead to bursitis because of nerve impingement and/or abnormal range of motion. However, most often this pain comes from a chronic disuse of muscles supporting the hip, sacroiliac joint, low back and knee. Abnormal friction over the bursa by tendon attachments causes swelling inside the bursa and in the tendons. It is not uncommon for Magnetic Resonance Imaging (MRI) to show “gluteal tendonopathy” as well. This means that the gluteal tendon does not appear to be strong and healthy. Treatments such as cortisone injections into the bursa are commonly performed by physicians but the actual cause of the bursitis must be addressed. Your Physical Therapist should perform a thorough gait assessment which tells so much about muscle compensation and functional mobility of the whole lower quarter. A detailed evaluation of the back, and lower quarter (even the foot/ankle!) often guides us to the primary problem so it can be addressed appropriately the first time. Your Physical Therapist will help rule out some other structures that can result in outer hip pain-a nerve from the back, certain muscles in the hip and back, the hip labrum, sacroiliac joint, and even viscera (ie. kidney). Have you ever sprained, or rolled, your ankle which resulted in pain, swelling and possible bruising? You then rested, iced and compressed it as you were told? After an ankle sprain, the use of an ankle support for every day weight bearing activities is important for protection and to avoid re-injuring the ankle. Ice with elevation and compression are also important things to do early on. Ligaments take a minimum of 6 weeks to be somewhat stable (and only if they are nurtured correctly) and most often there are injured tendons and/or muscles involved that also take time to heal. However, studies support the importance of moving the ankle, foot and knee (yes, knee) in very specific directions beginning in the acute stage of recovery to prevent excessive scarring and joint stiffness, atrophied muscles and to prevent much proprioceptive loss (our ability to make micro adjustments in ankle positioning to stay balanced). Class IV laser kickstarts tissue regeneration and reduces swelling and can be done immediately. In addition, soft tissue manipulation, neuromuscular re-education, taping and balance are just a few things that should be implemented right away. These things will so often get you back to “normal”, with good strength, range of motion, and without pain on stairs, walking uneven surfaces and/or getting back to impact sports. Be sure you are not guessing as to what you need to be doing on your own as further injury can result. To be safe, have a Physical Therapy evaluation who will do a whole lower quarter assessment and guide you through what to do at home and to instruct you on contraindicated movements, as well. 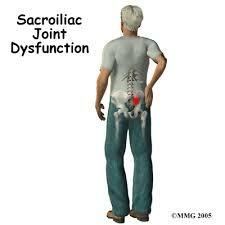 The sacroiliac joint (SIJ) …do you have pain here? It is common to feel pain in the lowest part of the back with an irritable SIJ. In addition, the SIJ can refer to the buttocks, front of hip and groin, outer thigh and sometimes to the outside calf area. Problems in this area come from long-term poor postural habits, trauma due to falls, multiple births, autoimmune conditions, to name a few. Except for cases of severe hypermobility, the SIJ moves no more than a few degrees. With an acute injury it can often be easy and quick to fix but how many people have had manual manipulations over and over again but continue to have the same pain? Are we “moving” the SIJ with manual therapy/manipulations? A study that looked at movement of the SIJ before and after manipulation used a system called Roentgen Stereo Photogrammetric Analysis (Tullberg, 1998) to measure miniscule changes in the joint. Though the position of the SIJ felt symmetrical to touch, there was no real change between the two bones. Subsequent studies have stated similar outcomes of insignificant joint changes. Numerous studies effectively confirm that the SIJ can be the primary source of pain as confirmed by a pain-relieving injection into the joint. Clinically, patients often report temporary relief of pain with SIJ manipulation and this can be a great tool. However, the soft tissue system cannot be ignored if long term improvements are expected. Weakness, pain and swelling cause compensatory movements and thus the muscles, tendons, ligaments, nerves, the joint capsule, and/or fascia must be addressed. What to do for a painful SIJ? As everyone is unique, a thorough head-to-toe evaluation of movements and posture is critical. Treatments include any and all of the following: hands-on manipulation of joints, myofascial release, exercises, education on proper everyday movements including squatting, sitting and standing, modifying shoe wear, modalities such as Class IV Laser and Trigger Point Dry Needling. What is wrong with this all too common picture? The wrong muscles are working hard to hold the head up, important neck muscles for posture and stability are snoozing when they should be working, spinal joints (facet) are sitting in a compromised position, and it won’t be long before nerves send signals that disks, muscles, ligaments and joints are unhappy. Studies, and the International Headache Society, show that about 15% of all headaches are cervicogenic in nature which means they originate from joints or soft tissues in the neck. Sensory nerves from the upper cervical spine (neck) relay information to something called the trigeminal spinal nucleus that is related to some headaches. Though this can happen from trauma such as car accidents, it is also common with sustained poor postures such as this one here. What to do about it? Seek professional advise on postural changes that include correcting the way muscles are being misused in the neck and learn how to “stack” the joints in the neck appropriately. Strong evidence supports that joint mobilizations, myofascial release, trigger point dry needling and the right exercises alleviate this type of headache, as well. What is big deal with trekking poles (nordic poles) for walking? I find myself encouraging many of my patients to buy trekking poles so they will be more comfortable, safe and stable while walking for exercise. I also receive great feedback from those who heed my advice. It may be obvious that the use of these can improve safety on uneven surfaces and, thus, increase confidence for some people to just get out there and walk. Research suggests that these poles also help decrease the load to lower extremity joints. For those with knee osteoarthritis, the impact to the whole knee, and inner region in particular, can be reduced and therefore improve pain levels with walking (Fregly et al, 2009). Another study showed up to 24% lower load onto the metatarsal heads (balls of feet) while using 2 poles (Hudson 2014). The lower back and hips are also mildly unloaded compared to walking without poles. Proper fit and use is essential as overuse injuries can occur, as well. For example, if wrists or shoulders become sore with use then it is important to have a physical therapist or health care provider assess footwear, gait and pole type. Additionally, there are Certified Nordic Walkers who lead classes and can make it more fun to do as a group. Patients in my clinic have gotten off the proverbial couch, walked more regularly, and felt more comfortable doing so. This is reason enough for me to continue to be an advocate for nordic poles.